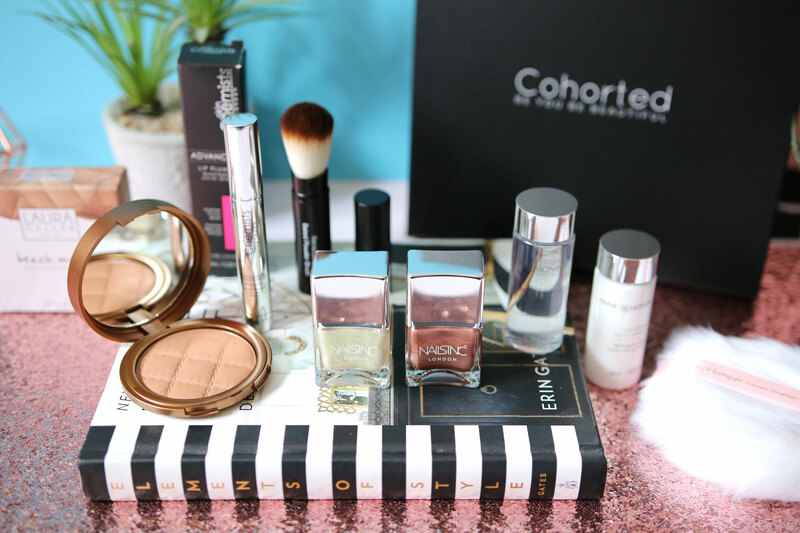 Cohorted July 2018 Beauty Box: Skin Chemists / Laura Geller / Nails Inc & More! 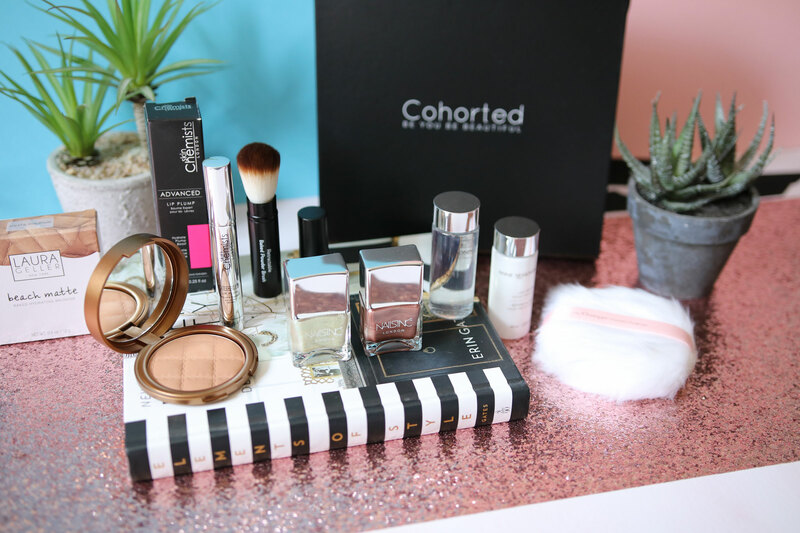 I’m so glad to be reviewing Cohorted’s boxes again, and July’s box really does look fantastic! Ok so the main product here is the Skin Chemists Advanced Lip Plump – this is actually worth £96.90 which is crazy! It’s essentially a clear gloss designed to actively plump the lips, improving shape, texture and volume. It contains Volulip to improve the shape, texture and volume of the lips, whilst leaving them hydrated, and Corum 9230 which provides both warming and cooling sensations. Also, Peppermint Oil which gives a refreshing taste and plumping sensation upon application. This was nice as a gloss, it gave my lips a nice shine and a tingly sensation, and a slight plumping effect. There are also a couple of mini products from Anne Semonin – The Botanical Milk is described as a light and absorbent cleanser, formulated with seaweed and hazelnut oil to help gently remove makeup, impurities and traces of pollution whilst maintaining the skin’s natural balance. And the Botanical Toner, which is a gentle antioxidant-rich toner, infused with naturally astringent witch hazel to help complete cleansing, reduce the appearance of pores, and balance and soothe the skin. These are really nice, no frills products that do just what they say. Cohorted have also included Nails Inc Mermaid Duo Nail Polish Set. When I looked this up, the shades in this set appear very different to the ones I have. 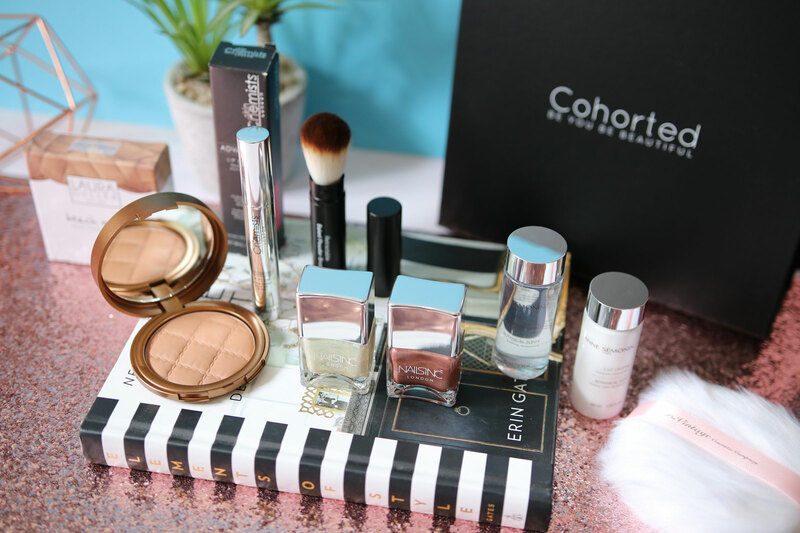 I have Strobe of Genuis and Queen Contour, which look to be two out of the three shades that make up the Living the Dream set – so I’m not sure what happened there! The colours are lovely though so I’m happy! And there’s also a couple of gorgeous products from Laura Geller – the Beach Matte Baked Bronzer & Retractable Powder Brush. The Beach Matte Baked Hydrating Bronzer gives skin a sunkissed glow without any shimmer. It’s enriched with skin-conditioning ingredients, and applies and blends seamlessly. The Retractable Powder Brush is also a really handy product, it’s perfect for using with the Baked Bronzer for touch ups on on the go. And lastly, there’s a Vintage Cosmetics Company Powder Puff – I’m not sure this is something I’d really reach for myself, as I pretty much only use brushes for applying powder. However it could come in handy for applying loose bronzers or shimmers to the body. 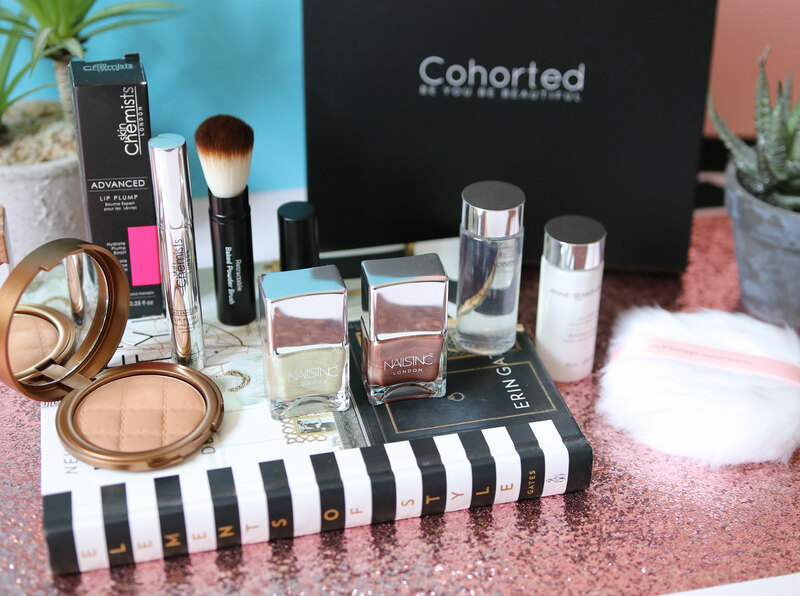 Cohorted boxes are £35.00 per month, and you can sign up here.